Following its success last year, the 80's tribute night is back with a bang on the 1st Abril, offering a journey back in time to boogie on down to your favourite tunes from the 80's. 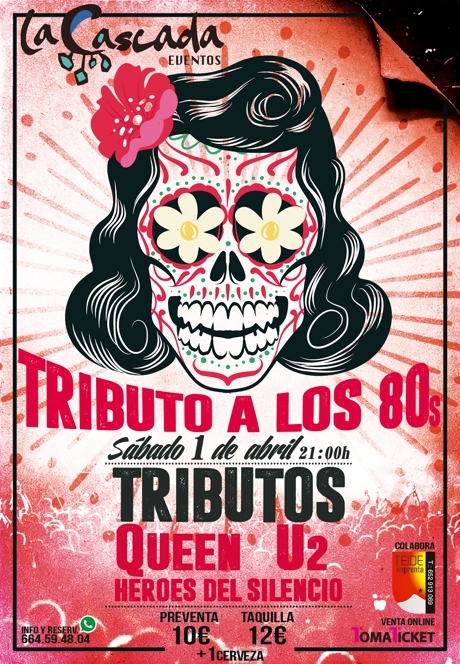 There will be tribute acts of Queen, U2 and Heros of Silence playing live as well as a DJ after the show. Tickets cost 10 Euros in advance or 12 on the door and include a beer.